Home > About us > News > New Press!!! 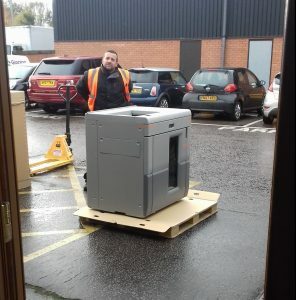 Early in November we took delivery of a brand new digital press from Ricoh. This is a machine that we were all extremely excited to get in place as it brings a large number of cutting edge developments with it to help us to offer to you, our customers. 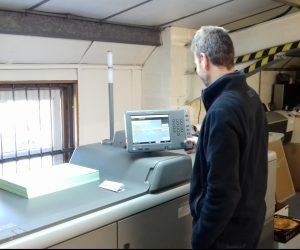 It is primarily a faster digital mono press which develops our specialist equipment for village and parish magazine printing. This is an area that we have invested in over the last few years and leaves us placed extremely well for quality, service and price. The new Ricoh runs faster than our previous mono press and also includes high capacity stackers meaning ti can print more sheets without having to be loaded and unloaded. All of which has resulted in print time for each magazine being reduced by around 2/3. It also delivers a very nice finish which improves the reproduction of images when printed in black and white. 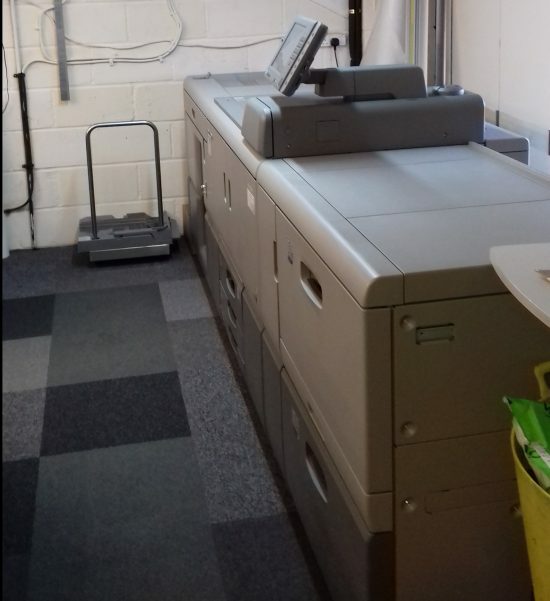 If we produce your village or parish newsletter then there is a very high probability that your December edition was printed on the new press! The benefits of the new Ricoh press do not stop there though. It is a massive step forward in technology and allows us to use it to print thicker boards than we previously could on our mono press which will increase capacity on the colour press as it can now share more of it’s own workload. But the most exciting development is the ability to print mono envelopes digitally! This will essentially eliminate minimum print runs for single colour envelopes and open up a lot of potential for our customers. Likewise we can also now print NCR sets digitally without the concern of misfeeds or the sheets curling – All decreases the minimum run quantity and again opening up a lot more flexibility.